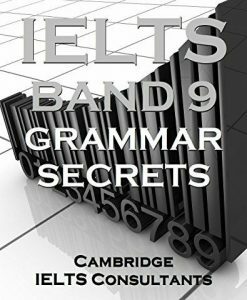 This book shows you how to develop and use the most important factor of all – Academic English grammar. We show you how to develop your grammar into more formal, precise and advanced English. We will explain how to improve your sentences, your paragraphs and your entire Task 2 essay in a way that will impress the IELTS examiners. Above all, we give you the grammar methods to quickly change your writing from normal, day-to-day English into Band 9 Academic English.